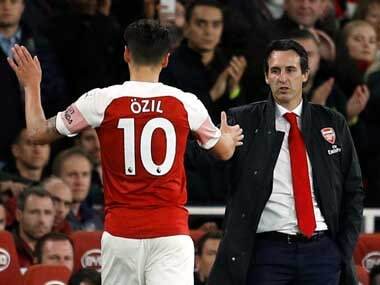 London: Mesut Ozil's relationship with Arsenal boss Unai Emery is again under scrutiny after the Spaniard appeared to suggest Sunday's match at Bournemouth was too "demanding" for the German. 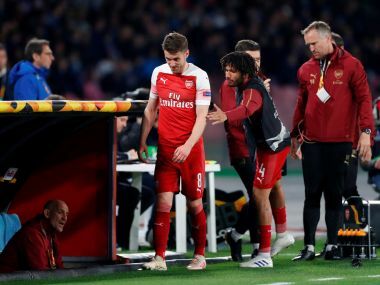 The 30-year-old German World Cup-winning midfielder had played in the Gunners' previous three matches — all draws — but Emery decided his style did not fit with Bournemouth's robust approach. 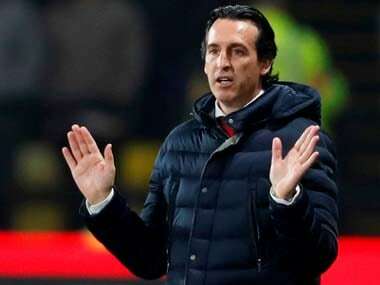 "We thought 'how we can do better in the match', a very demanding match with physicality and intensity," Emery said following the 2-1 win for Arsenal, when asked why Ozil had not started. "Every player is important but today we tried with three centre-backs and it was another possibility for us to improve and find our best performance as a team," said Emery. Ozil, whose place in the team for Sunday's North London derby with Tottenham could now be in doubt, did not even warm up for the match. "It depends on how the match is going," said Emery, replying to a question on why Ozil had not warmed up. "I decided on another option. We knew this was a difficult stadium, a difficult team. Seventeen matches we haven't lost but the last three we drew. That is not enough for us." Emery and Ozil have had a fractious relationship since the Spaniard replaced Arsene Wenger at the end of last season. Ozil missed the 3-1 win over West Ham in August, when it was reported he and Emery had argued at the training ground but the Arsenal boss said the player had been too ill to train. Ozil also threw a tantrum at being substituted in the 2-2 draw with Crystal Palace — in which he captained the side in the absence of the injured Petr Cech — in late October. 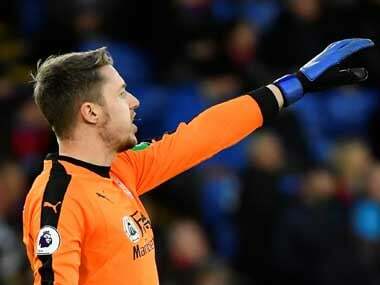 He stomped past Emery and hurled his gloves to the turf in disgust before taking a seat on the bench. 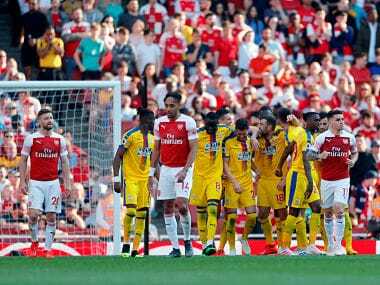 Emery, though, did not take umbrage publicly, stating "I like the players like him who show the character when we are not playing well".